Do you know someone in the U.S. Air Force? If so, then these Air Force T-shirts are a great way to celebrate the bravery and talent of someone that is in the Armed Forces. 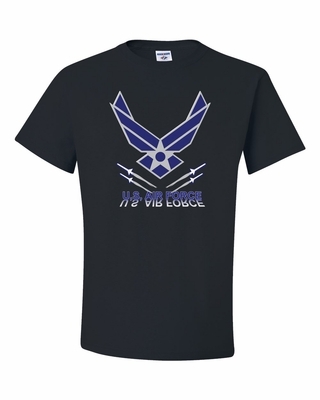 The U.S. Air Force is one of the most elite fighting and operation group in the world, and these U.S. Air Force T-shirts express your gratitude and American pride in this elite American force. The U.S. Air Force has been a key fighting force in the American Military, so show your appreciation to the brave men and women with these Air Force T-shirts. Remember� you found the U.S. Air Force Shirts at TShirtHub.com, where high quality came at a low price.